Sign up for Broadjam today to follow Lucy Morningstar Band, and be notified when they upload new stuff or update their news! 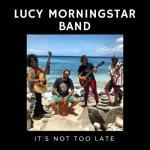 Lucy Morningstar Band's songwriting and original approach to Reggae, Folk & Rock music feature prolific lyrics and catchy grooves. 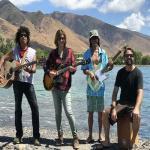 They have a sound and playing style that distinguishes them in today's music scene.